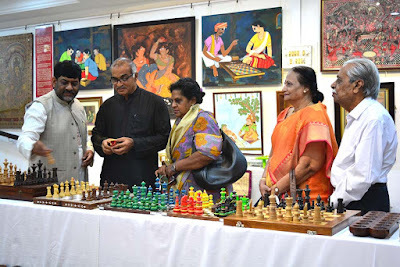 Ramsons Kala Pratishtana (RKP) presents the 8th edition of 'Kreedaa Kaushalya', the biennial exhibition of board games. 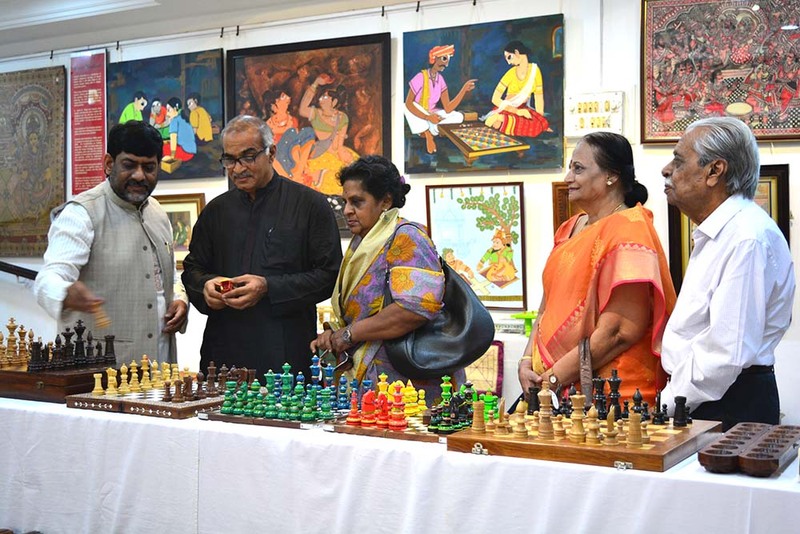 Art and artefacts of board game play will form the central focus of this expo. 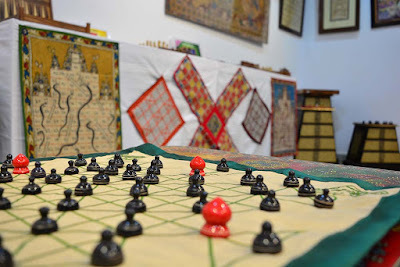 Vedas, Upanishads, Puranas, and various scriptures, history, poetry, songs, dramas, folklore and all aspects of Indian literature abound in stories involving board games. 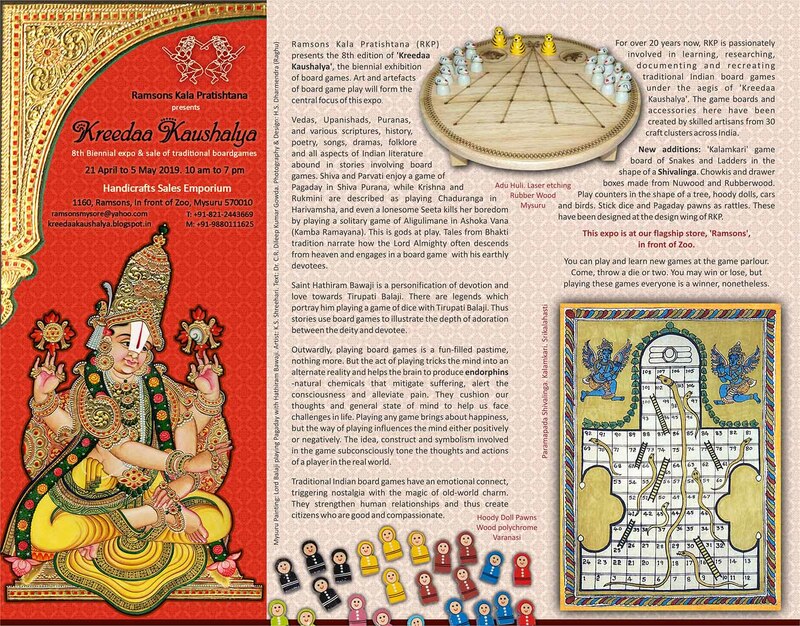 Shiva and Parvati enjoy a game of Pagaday in Shiva Purana, while Krishna and Rukmini are described as playing Chaduranga in Harivamsha, and even a lonesome Seeta kills her boredom by playing a solitary game of Aligulimane in Ashoka Vana (Kamba Ramayana). This is gods at play. 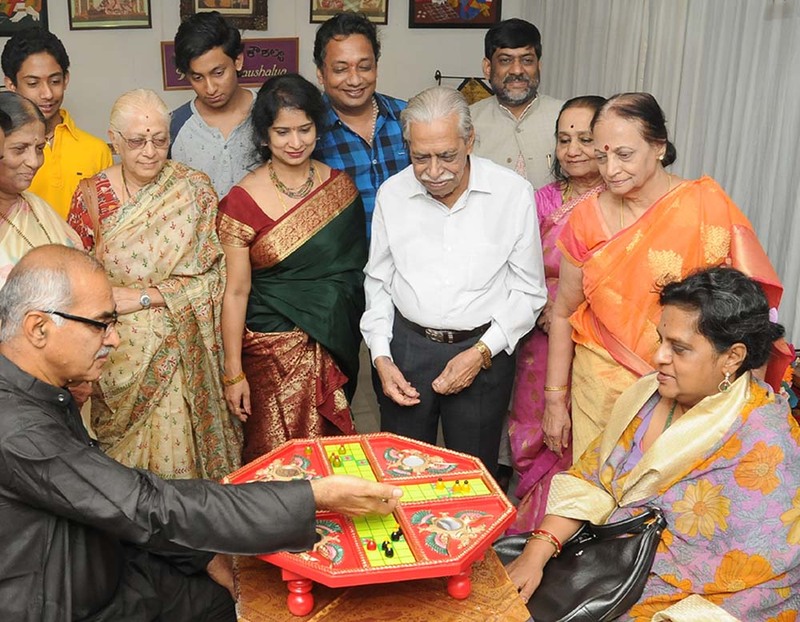 Tales from Bhakti tradition narrate how the Lord Almighty often descends from heaven and engages in a board game with his earthly devotees. Saint Hathiram Bawaji is a personification of devotion and love towards Tirupati Balaji. 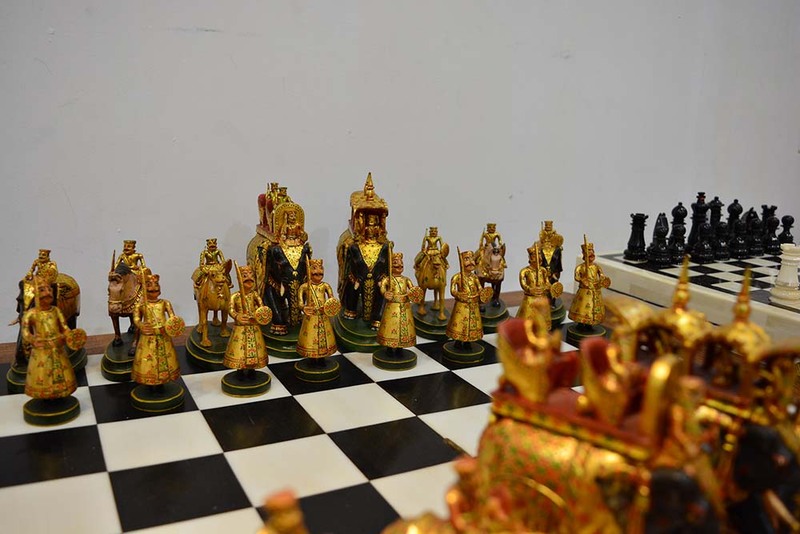 There are legends which portray him playing a game of dice with Tirupati Balaji. 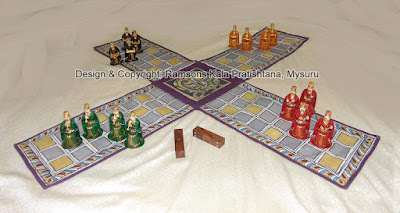 Thus stories use board games to illustrate the depth of adoration between the deity and devotee. Outwardly, playing board games is a fun-filled pastime, nothing more. But the act of playing tricks the mind into an alternate reality and helps the brain to produce endorphins -natural chemicals that mitigate suffering, alert the consciousness and alleviate pain. They cushion our thoughts and general state of mind to help us face challenges in life. Playing any game brings about happiness, but the way of playing influences the mind either positively or negatively. The idea, construct and symbolism involved in the game subconsciously tone the thoughts and actions of a player in the real world. Traditional Indian board games have an emotional connect, triggering nostalgia with the magic of old-world charm. They strengthen human relationships and thus create citizens who are good and compassionate. 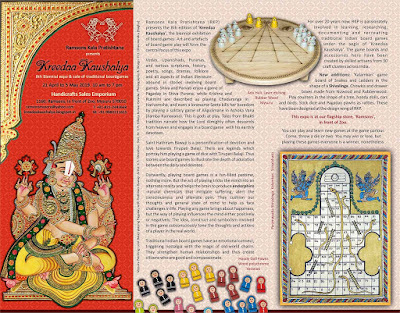 For over 20 years now, RKP is passionately involved in learning, researching, documenting and recreating traditional Indian board games under the aegis of 'Kreedaa Kaushalya'. The game boards and accessories here have been created by skilled artisans from 30 craft clusters across India. 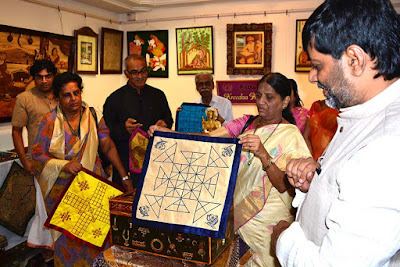 New additions: 'Kalamkari' game board of Snakes and Ladders in the shape of a Shivalinga. 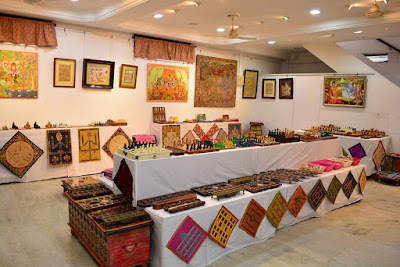 Chowkis and drawer boxes made from Nuwood and Rubberwood. Play counters in the shape of a tree, hoody dolls, cars and birds. Stick dice and Pagaday pawns as rattles. 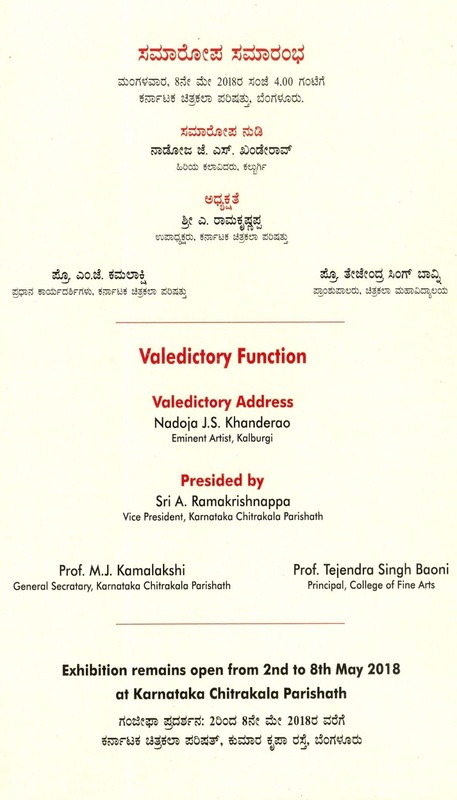 These have been designed at the design wing of RKP. This expo is at our flagship store, 'Ramsons', in front of Zoo. You can play and learn new games at the game parlour. Come, throw a die or two. You may win or lose, but playing these games everyone is a winner, nonetheless. ¨sÁgÀvÀzÀ°è PÀgÀPÀÄ±À®PÀ¯ÉAiÀÄ ¸ÀA¥ÀæzÁAiÀÄUÀ¼ÀÄ C£À£Àå. eÉÆvÉUÉ ¸Á«gÁgÀÄ ªÀµÀðUÀ½AzÀ £ÀqÉzÀÄ§A¢gÀÄªÀ ºÁ¸ÀÄ DlUÀ¼À ¥ÀgÀA¥ÀgÉAiÀÄÆ «²µÀÖ. F JgÀqÀÆ ¸ÀA¥ÀæzÁAiÀÄUÀ¼À£ÀÄß ¨É¸ÀÄUÉ ºÁQzÁUÀ d¤¹zÀÄÝ `QæÃqÁ PË±À®å' ¥ÀæzÀ±Àð£À. £ÀªÀÄä zÉÃ±ÀzÀ ¸ÀÄªÀiÁgÀÄ 30 PÀgÀPÀÄ±À® PÀ¯Á ¹jAiÀÄ°è CgÀ½gÀÄªÀ ¸ÀÄªÀiÁgÀÄ 37 ºÁ¸ÀÄ DlUÀ¼À ªÉÊ¨sÀªÀzÀ JAl£ÉAiÀÄ zÉéöÊªÁ¶ðPÀ ¥ÀæzÀ±Àð£ÀPÉÌ ¤ªÀÄVzÉÆÃ ¸ÁéUÀvÀ. ªÉÃzÀ, ¥ÀÄgÁt, EwºÁ¸À, £ÁlPÀ, ¥ÀzÀ, eÁªÀ½, zÉÃªÀgÀ£ÁªÀÄ, ¨sÁªÀVÃvÉ, eÁ£À¥ÀzÀ ¥ÀzÀå, PÀxÉ - F J®è ¨sÁgÀwÃAiÀÄ ¸Á»vÀå ¥ÀgÀA¥ÀgÉAiÀÄ°è ºÁ¸ÀÄ DlUÀ¼À MPÀÌuÉ GAlÄ. 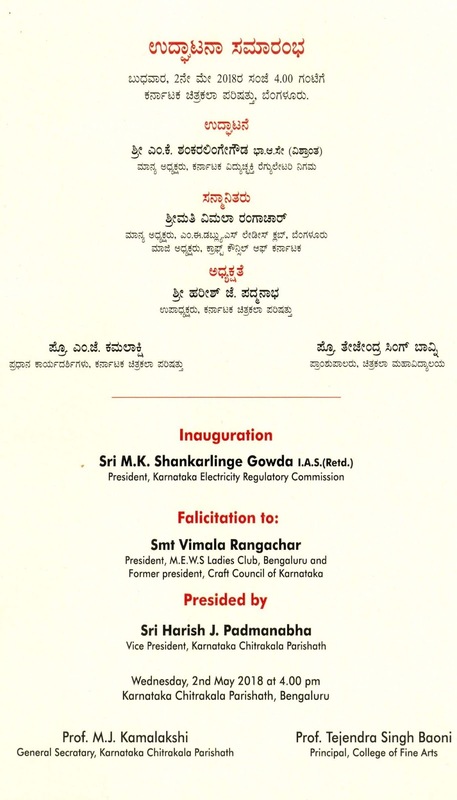 ²ªÀ¥ÀÄgÁtzÀ°è ²ªÀ-²ªÉAiÀÄgÀÄ ¸ÀgÀ¸ÀPÁ®zÀ°è ¥ÀUÀqÉ DrzÀgÉ, ºÀjªÀA±ÀzÀ°è PÀÈµÀÚ-gÀÄQätÂAiÀÄgÀ ZÀzÀÄgÀAUÀzÁl, C±ÉÆÃPÀ ªÀ£ÀzÀ°è M§âAn ¹ÃvÉAiÀÄ C½UÀÄ½ªÀÄuÉAiÀiÁl - »ÃUÉ zÉÃªÁ£ÀÄzÉÃªÀvÉUÀ½UÀÆ DlzÀ VÃ¼ÀÄ. CµÉÖÃ C®èzÉ ªÉÊPÀÄAoÀ¢A¢½zÀÄ vÀ£Àß ªÀiÁ£ÀªÀ ¨sÀPÀÛgÉÆqÀ£ÉAiÀÄÆ ¨sÀUÀªÀAvÀ£ÀÄ DlªÁrgÀÄªÀ ¸ÀAzÀ¨sÀðUÀ¼ÀÄ ¨sÀQÛ ¸ÀA¥ÀæzÁAiÀÄzÀ PÀxÉUÀ¼À°è ºÁ¸ÀÄºÉÆPÀÄÌ. wgÀÄ¥Àw wgÀÄªÀÄ¯ÉAiÀÄ MqÉAiÀÄ wªÀÄä¥Àà£À ¥ÀgÀªÀÄ ¨sÀPÀÛ ºÁyÃgÁªÀiï ¨ÁªÁf, ¨sÀUÀªÀAvÀ£À ¸ÁPÁëvÁÌgÀ ¥ÀqÉ¢zÀÝ ªÀÄºÁ¸ÀAvÀ. ¥Àæw¢£À DvÀ£ÉÆqÀ£É ¨sÀUÀªÀAvÀ£ÉÃ §AzÀÄ ¥ÀUÀqÉAiÀiÁl DqÀÄwÛzÀÝ£ÀÄ JAzÀÄ ¥ÀæwÃw. ¨sÀPÀÛ-¨sÀUÀªÀAvÀ£À £ÀqÀÄ«£À ¸ÉßÃºÀ, ¨sÀQÛUÀ¼À ¥ÀgÁ-PÁµÉ×UÀ¼À£ÀÄß ºÁ¸ÀÄ DlzÀ LwºÀåzÀ ªÀÄÆ®PÀ vÉÆÃj¹gÀÄªÀÅzÀÄ D¥ÁåAiÀÄ. ¨sÀQÛ GvÀÌµÀðPÉÌ ªÀiÁvÀæªÀ®è, PËlÄA©PÀ ¸ÁªÀÄgÀ¸ÀåPÀÆÌ ºÁ¸ÀÄ DlUÀ¼ÀÄ ¤«ÄvÀÛªÁVgÀÄªÀÅzÀÄ ºÁ¸ÀÄDlUÀ¼À ¸Ë¨sÁUÀå. DlUÀ½AzÀÄAmÁUÀÄªÀ ªÀåªÀ¹ÜvÀ ¥ÀjuÁªÀÄUÀ¼À£ÀÄß zÁR°¹ DlªÁqÀÄªÀ ¥Àj¥ÁoÀªÀ£ÀÄß GvÉÛÃf¸ÀÄªÀ PÁAiÀÄðPÀæªÀÄUÀ¼ÀÄ §ºÀ¼À PÀqÉ £ÀqÉAiÀÄÄwÛzÉ. Dl DqÀÄªÁUÀ ªÉÄzÀÄ½£À°è `JAqÉÆÃ¦üð£ï' ºÁªÉÆÃð£ï M¸Àj¹, DqÀÄªÀ ªÀåQÛAiÀÄ ªÀÄ£À¸ÀÄì ªÀÄvÀÄÛ zÉÃºÀzÀ°è zsÀ£ÁvÀäPÀ §zÀ¯ÁªÀuÉUÉ PÁgÀtªÁUÀÄvÀÛzÉ. DqÀÄªÀ «zsÁ£À, ªÀåªÀ¸ÉÜ, ªÉÊRj, gÀÆ¥ÀÄgÉÃµÉ ºÁUÀÆ PÀ®à£ÉUÀ¼ÀÄ PÀÆqÀ ªÉÄzÀÄ½£À ªÉÄÃ¯É ¤RgÀ ¥ÀjuÁªÀÄ ©ÃgÀÄvÀÛªÉ. DzÀÝjAzÀ¯ÉÃ ¸ÀAAiÉÆÃd£ÁvÀäPÀ, QæAiÀiÁvÀäPÀ ºÁUÀÆ ¸ÀPÁgÁvÀäPÀ DlUÀ½UÉ ¥ÉÆæÃvÁìºÀ CªÀ±Àå. ºÁ¸ÀÄ DlUÀ¼À£ÀÄß ªÀÄPÀÌ¼ÀÄ ªÀiÁvÀæªÀ®è »jAiÀÄgÀÆ DqÀ¨ÉÃPÀÄ. DlUÀ¼ÀÄ PÉÃªÀ® PÁ®PÉëÃ¥ÀzÀ ªÀiÁUÀðªÀ®è, CªÀÅUÀ½AzÀ ¤Ãw, PÀvÀðªÀå¥ÀæeÉÕ, £ÁåAiÀÄ ¥ÀgÀvÉ, ªÀÄ£ÉÆÃ ªÉÊ±Á®å, ¥ÀgÀ¸ÀàgÀ ¨ÁAzsÀªÀå, «ªÉÃZÀ£Á ±ÀQÛ ªÀÄÄAvÁzÀ «ZÁgÀUÀ¼À eÁUÀÈw ±ÀvÀ¹ìzÀÞ. EªÀÅ ªÀÄPÀÌ½UÉ ªÀiÁUÀðzÀ±ÀðPÀªÁzÀgÉ DqÀÄªÀ ¥ÀæQæAiÉÄAiÀÄÄ »jAiÀÄgÀ zÉÊ»PÀ, ªÀiÁ£À¹PÀ ZÉÊvÀ£Àå ºÀÄjUÉÆ½¹ J®è EA¢æAiÀÄUÀ¼ÀÄ ZÀÄgÀÄPÁV ®ªÀ®«PÉ¬ÄAzÀ fÃªÀ£Á£ÀAzÀ C£ÀÄ¨sÀ«¸À®Ä GvÉÛÃf¸ÀÄvÀÛªÉ. gÁdPÀÄªÀiÁgÀjUÉ gÀtvÀAvÀæªÀ£ÀÄß ºÉÃ½PÉÆqÀ¯ÉÆÃ¸ÀÄUÀ d¤¹zÀ Dl, ZÀzÀÄgÀAUÀ. CAvÉAiÉÄÃ DzsÁåvÀä ¸ÁzsÀPÀ¤UÉ ªÉÆÃPÀë¥ÀxÀ w½AiÀÄ¥Àr¸À®Ä ºÀÄnÖzÀ Dl, ¥ÀgÀªÀÄ¥ÀzÀ. ¥ÀUÀqÉAiÀÄÄ ºÀÄlÄÖ-¸ÁªÀÅUÀ¼À ¥ÁoÀ ªÀiÁrzÀgÉ, ºÀÄ°PÀnÖ£Ál ¸ÀAWÀ±ÀQÛAiÀÄ ªÀÄºÀvÀézÀ ²PÀët ªÀiÁr¸ÀÄvÀÛzÉ. ¸Á®ÄªÀÄ£ÉAiÀiÁl «ªÉÃZÀ£Á²Ã®vÉ ¨É¼É¹PÉÆ¼Àî®Ä ¸ÀºÁAiÀÄPÀ. D¯ÉÆÃZÀ£Á ±ÀQÛAiÀÄ£ÀÄß MgÉUÉ ºÀZÀÄÑªÀÅzÀÄ ¹¥Á¬ÄUÀ¼Ál. »ÃUÉ C£ÉÃPÀ QèµÀÖ vÀvÀÛ÷éUÀ¼À£ÀÄß DqÁqÀÄvÁÛ PÀ°vÀgÉ JµÀÄÖ ªÀÄeÁ! EzÉÃ DlzÀ DqÀÄA¨ÉÆ®. DlzÀ ªÀÄºÀvÀéªÀ£ÀÆß, EwºÁ¸ÀªÀ£ÀÆß w½zÀÄPÉÆ¼ÀÄîvÁÛ ºÀ¼ÉAiÀÄ DlUÀ¼À ºÉÆ¸À ¥ÀjZÀAiÀÄ ªÀiÁrPÉÆ¼Àî®Ä F ¥ÀæzÀ±Àð£ÀzÀ°è `DlzÀ CAPÀt'ªÀÇ NgÀtUÉÆArzÉ. ªÀÄÈUÁ®AiÀÄzÀ JzÀÄj£À £ÀªÀÄä `gÁªÀiï¸À£ïì' CAUÀrAiÀÄ°è ¥ÀæzÀ±Àð£À. ¸ÉÆÃvÀgÉÃ£ÀÄ, UÉzÀÝgÉÃ£ÀÄ, DqÀÄªÀ UÀªÀÄävÉÛÃ UÉ®ÄªÀÅ. £ÉÆÃqÀ§¤ß, DqÀ§¤ß QæÃqÁ PË±À®å. 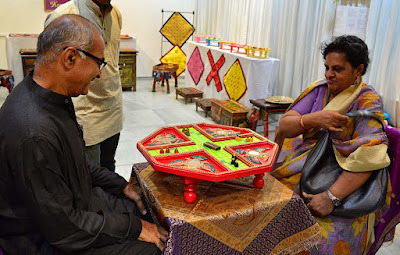 There are hundreds of versions of Ramayana and in one of the oral tradition of Ramayana, Seeta is seen playing a solitary game on Mancala (Aligulimane or Pallanguli) board. Probably she dug out 14 pits on the ground in the garden where she was kept captive by the villainous Ravana. Now we know that an empty mind is the factory of devil. Seeta did not want to sit idle, for it will bring negative thoughts in her mind and eventually they will make her life more miserable than the life in Ashokavana, the garden. Hence she gouged the earth making one row of seven pits side-by-side and another similar row right across the first row. Collecting round dry seeds of red-coral tree she started playing a solitary game in that board. 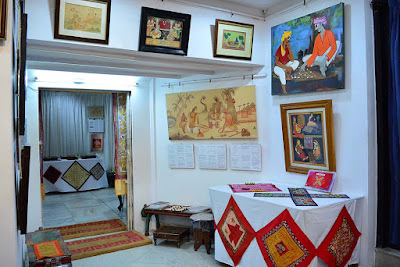 She played on and on and the game eventually is called by her name as 'Seeta Devi Ata'. This game was taught to me by late Shyamala Garudachar who lived on the first floor of my house. She was an Iyengar lady and her grand children called her 'paati' and we too called her the same. Paati taught me Aligulimane and Pagaday. Seeta Devi Ata is a solitary game in Aligulimane (Mancala, Pallanguli). 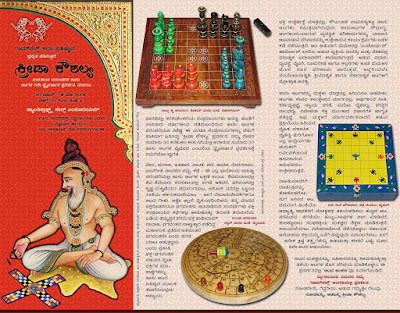 In oral traditions of Ramayana in South India, it is said that when Seeta was in Ashoka Vana as a prisoner of Ravana, she played this game. If you are alone and want to play a game on your own, this is a great pastime. 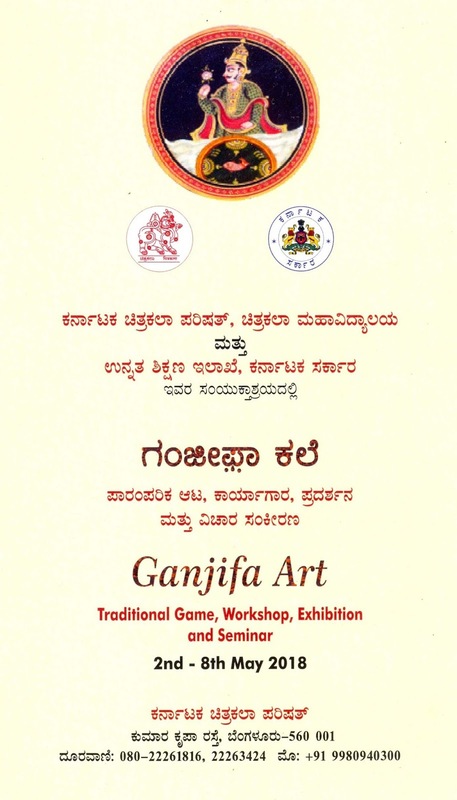 The original version of this game (let us call it Seeta Devi Ata -1) is slightly different from what is shown here. 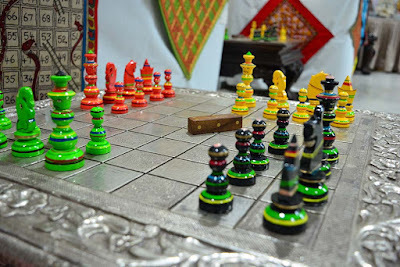 Another version of this game was taught to me today (17 June 2018) by Mrs. Asha Shantaram. 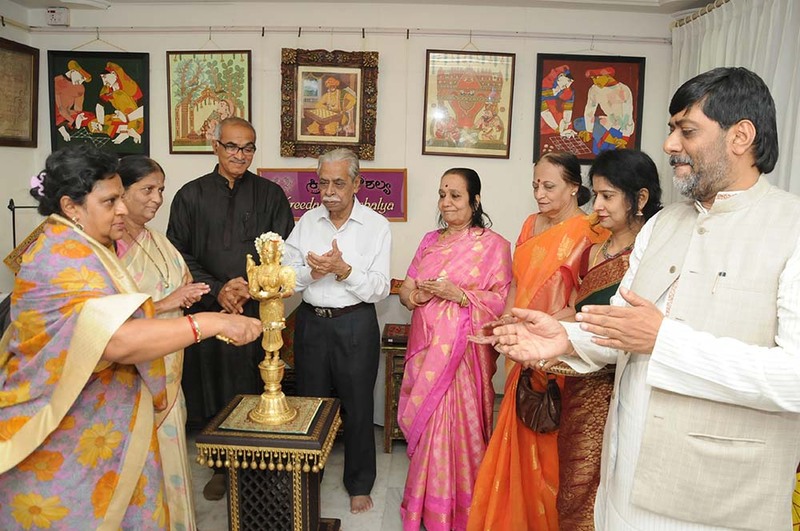 She learnt this game from her late mother-in-law Radhalakshmamma Addepali. I thank Mrs. Asha and also Radha ajji. 'What is the name of this game?' I asked Mrs. Asha, but she did not remember. Anyhow I am calling this game as 'Seeta Devi Ata - 2'. I will soon post a video of how to play the Seeta Devi Ata -1 which was taught to me by Shyamala Garudachar (we called her paati) who lived on the first floor of our house. Ramsons Kala Pratishtana has not only designed and produced regular board games and pawns for day-to-day use but also have designed and produced museum-quality collector's edition board games and pawns. These are sure to be conversation pieces if displayed in the drawing rooms. Of course they can also be used to play, but sparingly! The picture that most commonly depicts a ‘Techie’ or to use a more prosaic term, Software Engineer, is of a young man or woman dressed in uber cool outfits, glued to an iPad or one of those high end mobile phones or more often than not using these gadgets to play a variety of complex games. It seems that this is blatantly untrue! 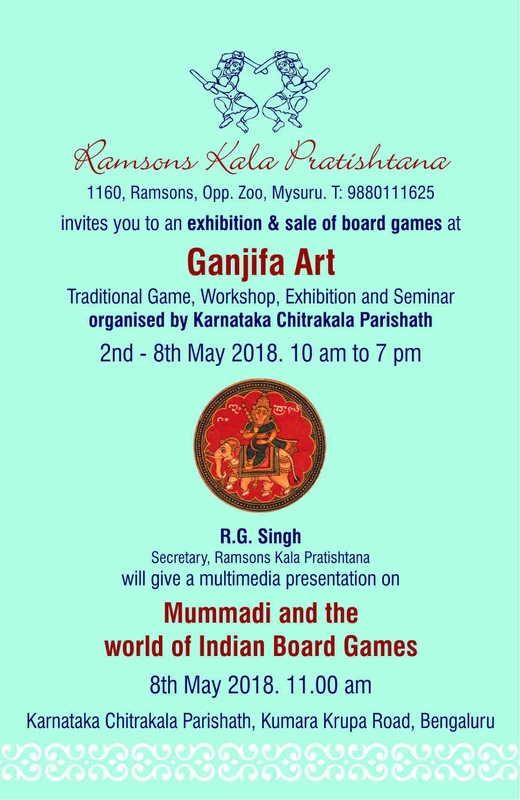 At the ongoing Kreedaa Kaushalya, the exhibition of traditional board games at the Ramsons in front of the Mysuru Zoo, it was a pleasant surprise to the organisers to see techies avidly buying the traditional board games like Aliguli Manay, Pagaday and Adu Huli Ata! The reply was astonishing and astounding. "We thought that we would spend the weekend playing Aliguli Manay. and Adu Huli Ata" was the answer. 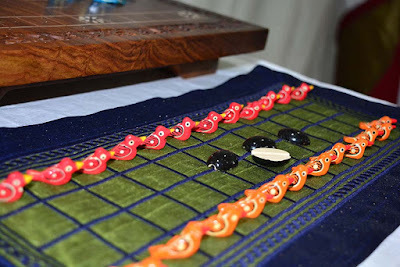 One of them said, "I have seen this (Aliguli Manay) in my grandmother’s house and recall my mother and other family members playing this game on Sundays. The whole family would gather around the players. It was great fun." Nostalgia? Memories of grandma’s tales from the past? "No", replied another. "This is a part of our tradition. I think we should do all that we can, to foster it. And what better way than sitting around and spending an enjoyable weekend day playing it." Adds yet another techie, "Ultra modern computer games do not give us this high." "The very act of placing the tiger or the sheep and not knowing one misstep could mean ‘a tiger’s meal’ or a tiger cornered... this is fun. Everybody screams as you head towards disaster...” he continues. There is delighted laughter. 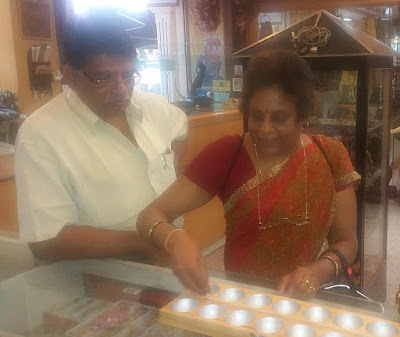 Another visitor, a Mysorean by birth and who is currently one of the top honchos of a software company in the USA was in Mysore for a sabbatical with her sons. 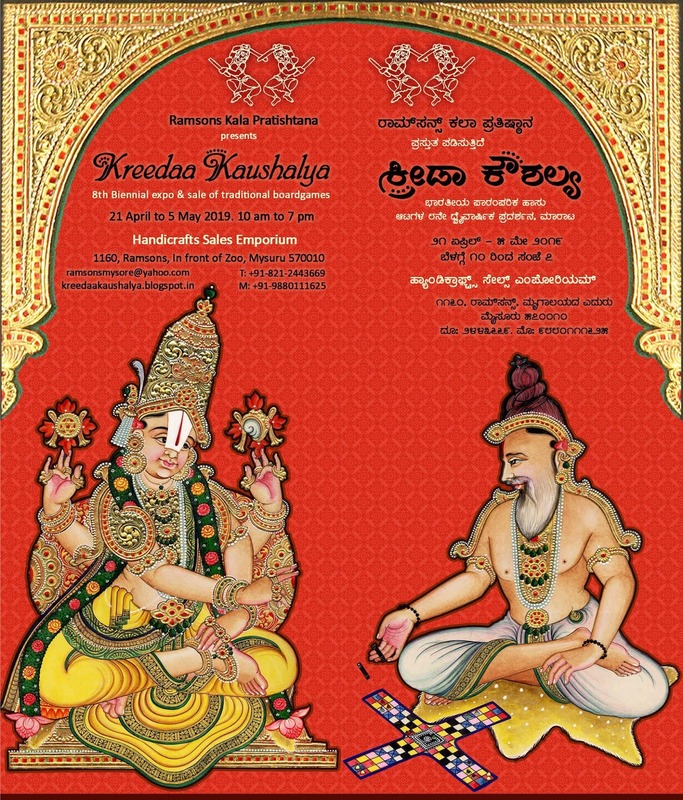 Hearing about Kreedaa Kaushalya, she had dropped by with her son. The mother and son duo were drawn to the traditional game boards display at Kreedaa Kaushalya. Peals of laughter rang out as the father picked a choukabara set and exclaimed, "Chou-koo baaro!" The ninth edition of the traditional board games exhibition, Kreedaa Kaushalya , was inaugurated this morning with the traditional lighting of the lamp by Maharajakumari Indrakshi Devi and Sri R. Raja Chandra at 'Ramsons' the flagship store of Handicrafts Sales Emporium, in front of the Zoo in the city. 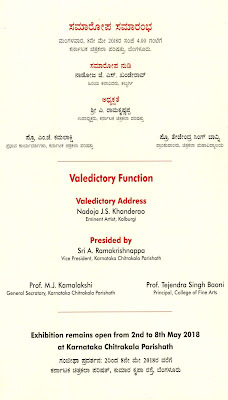 The chief guest Dr. H.P. 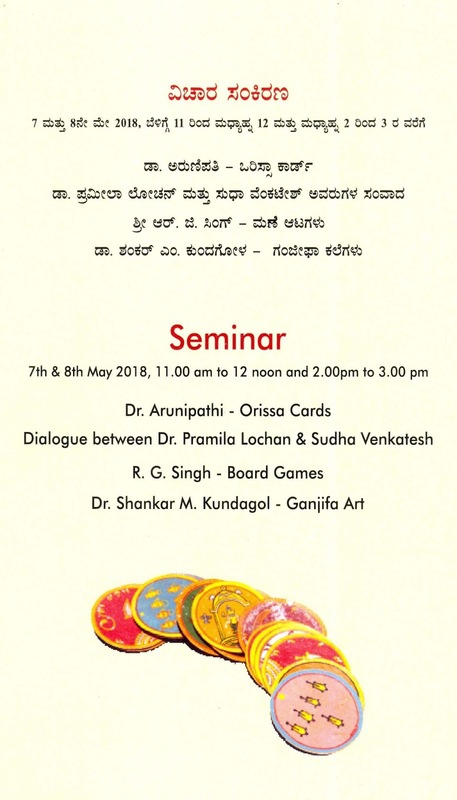 Devaki, Director, Oriental Research Institute (ORI) of the University of Mysore, released seven new board games that have been introduced this year. More than 1000 games representing 37 odd games are on display. The exhibition is open from 10 am to 7 pm, daily and will conclude on 14 May 2017. 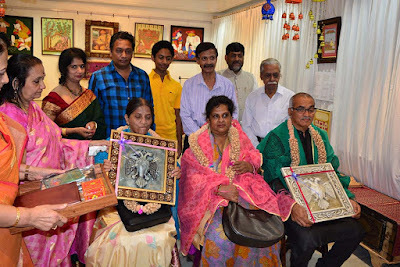 Pictures are by Sri Suraj M.N. Dear reader, welcome, we are glad to have you here. As the text in the banner says, this blog is a window into the world of traditional board games of India. We are a team of three - R.G. Singh, Raghu Dharmendra and Dr. C.R. 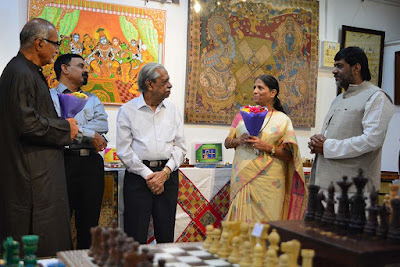 Dileep Kumar Gowda - who go around and visit towns, villages, temples, etc., and gather information on board games in our own way and document them. 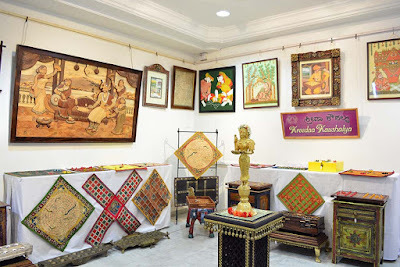 This blog contains some titbits, stories, game rules, etc., which we found, encountered and experienced during our field trips. Please feel free to comment. We would be glad to answer any of your queries or doubts. 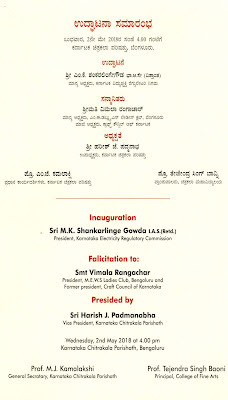 If there are any mistakes please bring it to our knowledge. Thank you. Enjoy reading. 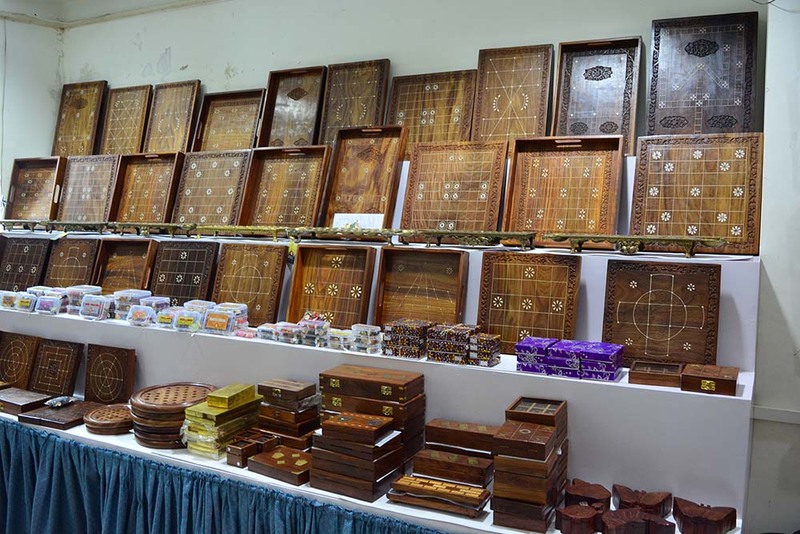 Few of the board games featured here are available at 'Ramsons' the largest handicraft shop of Mysuru. 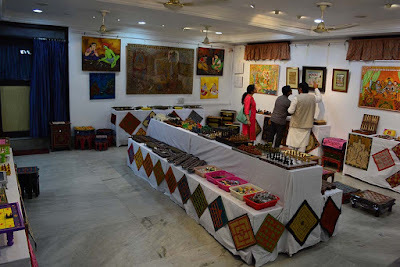 The shop is right in front of Zoo (Chamarajendra Zoological Gardens) a famous tourist destination in Mysuru. 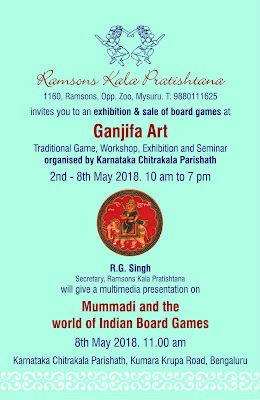 An appeal from Ramsons Kala Pratishtana to all Indian board game lovers. We would be glad to receive for our Indian Board Game Archive any information about any games from anyone. Local names of the games, customs, traditions, victory rituals, victory songs, local rules, variation of rules, unusual experiences, photographs, anything. Also, we are trying to put together as full a collection as possible of specimens of these games, to be preserved, for good, for the future together with rules and other information, since many old games are threatened with possible extinction due to computer games, video games and the generally changing world. 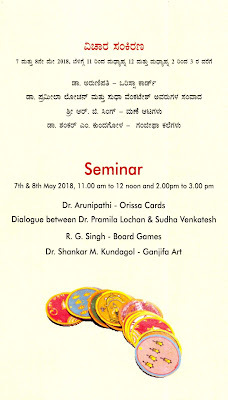 Finally, if you have old games, boards, dice, pieces that you don't want any more or that are never used any more, you can donate such material to our art foundation where they will be conserved and preserved for posterity.